There is almost no better than the time of year then when we are surrounded by holidays. Let’s take a look at what is happening this year in Hoboken for families. Art Project: Your child will create a great craft during our art class. Dance Party: This is an upbeat movement class with fun games and activities. Movie: Shown on our professional 6 foot by 8-foot movie screen and projector for a mini-movie experience. 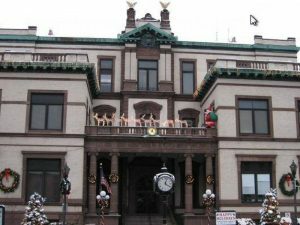 On December 5th, at 5 pm, Hoboken will have their annual Christmas Tree Lighting. This year, they will have Elvis the Elf and an appearance by the one and only Santa Clause. There will be tons of live performances, music, and prized and giveaways! The lighting takes place in front of City Hall. It is a great, fun safe, and festive way to really kick off the holiday season with the whole family. The event is free. Furthermore, Mrs. Clause will be doing face painting for kids on the second floor of City Hall! This is a perfect holiday event to attend with the whole family as there will be a little something for everyone. Plus, you can get some holiday shopping done and support local businesses for the holiday season. 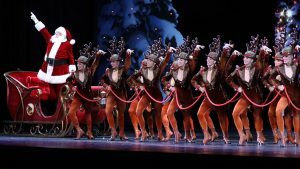 From November 10-January 2018, The Radio City Christmas Spectacular is something you should do with the family at least once. 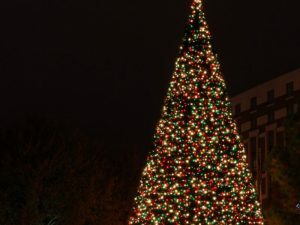 The show has been in production since 1933 and is one of the most timeless Christmas traditions in the entire country. The show features Santa, The Rockettes, and tap dancers galore. The sets are stunning and super magical for kicking off the holiday seasons and getting you and the kids into the Christmas spirit. This is a must see show and one of the best holiday event for families near Hoboken. 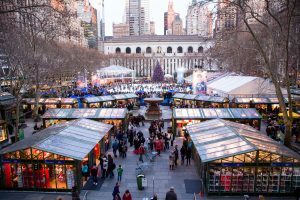 From free ice skating on a 17,000 square foot outdoor rink to more than 150 holiday shops to some of the most delicious food vendors and eateries, this is a holiday event not to miss. You can get some holiday shopping done, chow down on holiday treats, and skate until your heart in content. Bring your own skates though if you don’t want to pay the $20 rental fee! This is truly a magical winter village and one of the greatest holiday events in Hoboken for families. Skating hours: Daily 8am–10pm, through March 4. Holiday Shops: Mon–Fri 11am–8pm, Sat, Sun 10am–8pm, through January 2. Many shops are open on major holidays. If you are looking to listen to some classic holiday songs, you certainly don’t want to miss this Holiday Banding Concert. 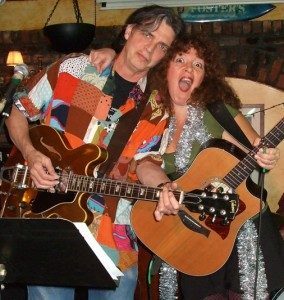 All music is performed by favorite local musicians and they may also throw in some of their own original holiday songs as well! The event will take place on Sunday, December 18, 2016, doors open at 5:30 pm and admission is $10.00. The admissions fee will go to support Hoboken’s Movies Under the Stars Outdoor Summer Series.